1. Clones. 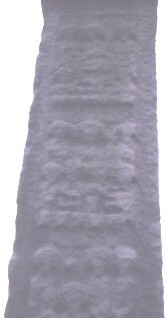 Composite Cross. North West Face. General View of Shaft. This is a close up of the shaft of the north west face of the composite cross at Clones Co. Monaghan. These panels depict New Testament scenes. The Adoration of the Magi. The Miracle at Cana. and The Miracle of the multiplication of the loaves and fishes.